* Free bag of mortar with every purchase! Mason-Lite was started in 2005 by a group of individuals who together, have over 100 years of experience in the fireplace manufacturing business. Made in the U.S.A. means lower shipping & handling costs, more affordable pricing and reliable quality. With Mason-Lite you can quickly and easily add value and luxury to your home. 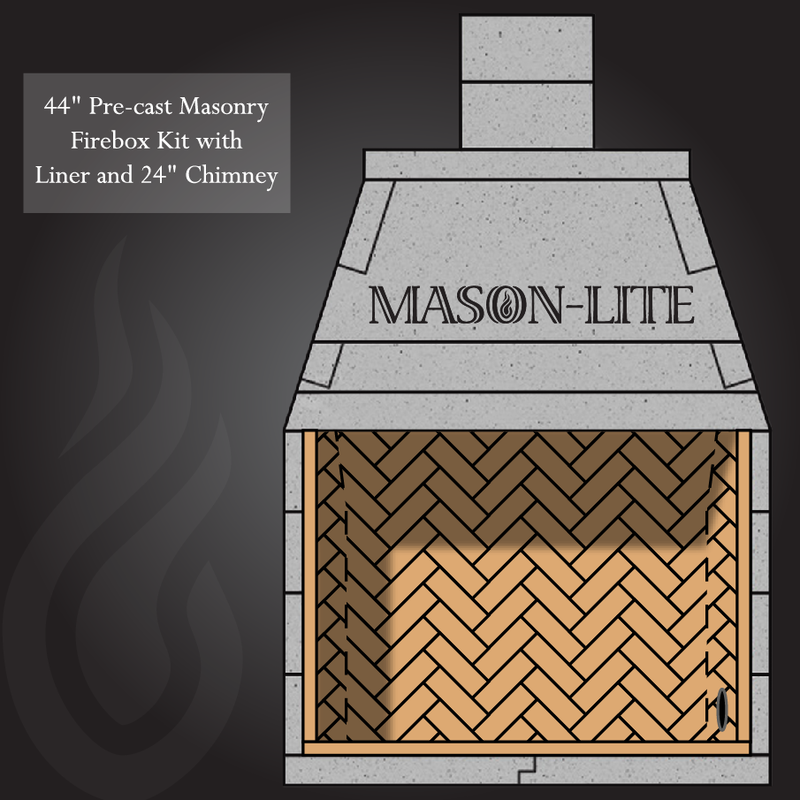 Optional Mason-Lite brick panels are available in all standard sizes in Split Herringbone & Full Running Bond.The Masonry Chimney is available for indoor and outdoor installations in 14″. 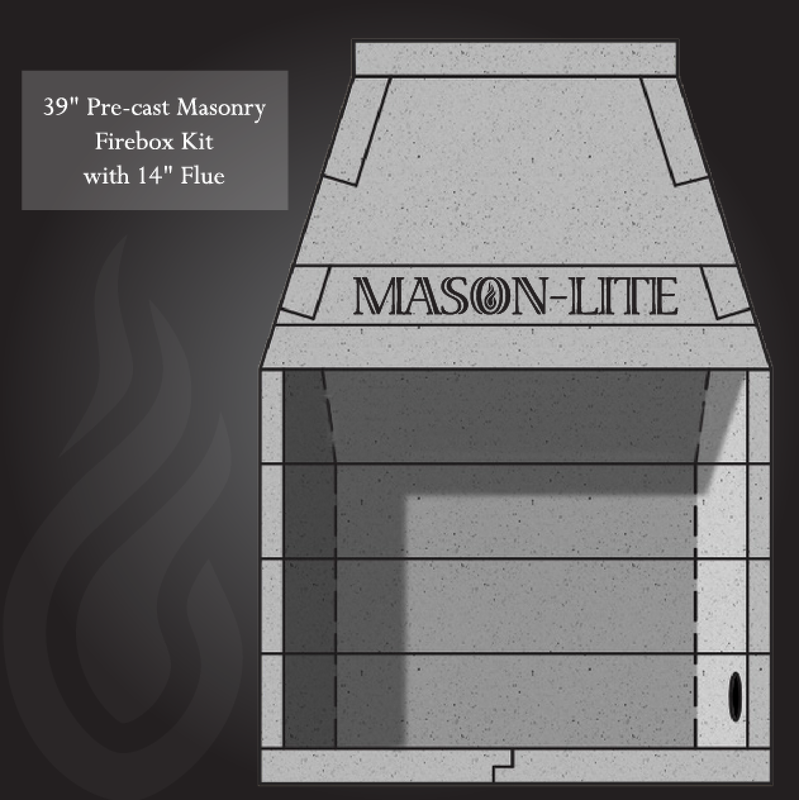 The Mason-Lite Optional Arch is available in 49″ size that can be adjusted down to 44″.